This morning I found myself in Long Island City in the Vernon-Jackson area, taking care of some errands. OK… one of my errands was to go to Sweetleaf. I hadn’t been by since they moved to their new space and I really wanted to check it out, as well as get a delicious cup of Stumptown coffee. 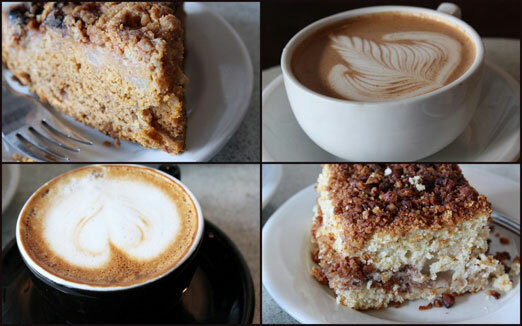 And delicious it was – the drinks were terrific, and the baked goods extremely tasty. We each had an espresso drink – for me, a cappucino and for him a mocha. Both were excellent – rich, smooth espresso with particularly creamy foam on mine. The mocha was well-balanced, with both the chocolate and coffee flavors in harmony. The cakes – an apple pumpkin cake and a pear pecan coffeecake – were also delicious. I loved how they were substantial with a gentle sweetness. I’m a sucker for pecans these days, and he adores pumpkin, so our choices suited us well. We both liked each other’s drink and food choices quite a bit. We got a peach tea and three cinnamon puffs to go. The tea had a beautiful peachy aroma and I understand it was light in flavor. The cinnamon puffs are simply amazing. 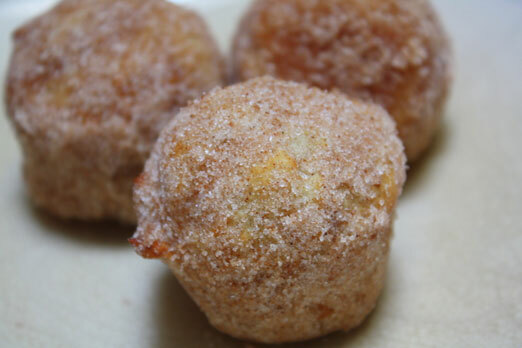 They taste like a lighter version of buttermilk old fashioned donuts coated in cinnamon and sugar. I absolutely loved them! Highly recommended. The space – new since mid-October – is just lovely. And it’s so much bigger than the old space. There are three main rooms – the main dining room where you enter, a laptop room off to the right, and a room in the back that prohibits laptops, complete with a turntable and vinyl for your listening enjoyment. I love all the old painted tin covered walls, dark wood, wallpaper, and repurposed materials. It really gives the whole place a comfortable yet sophisticated look and feel. The staff is warm and friendly, which just adds to the relaxed atmosphere. 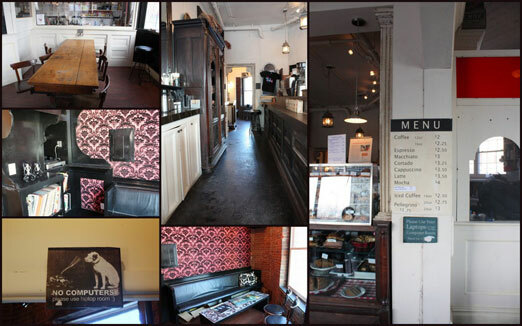 I’ve said it before, and I’ll say it again – Sweetleaf has the best coffee I’ve had in the borough. 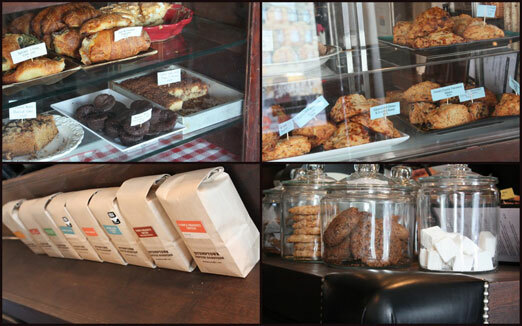 I’m a huge fan of Stumptown coffee, and am so happy they serve it there. The baristas are very talented, too. There are baked goods for everyone, including vegans and those desiring gluten-free. It’s also a short walk from the Vernon-Jackson stop – bonus. And I was glad I arrived when I did, when it was just starting to get busy – it’s a pretty popular place, and rightly so. Next time you’re in LIC, definitely stop over at Sweetleaf.